Let’s not argue. I am just scholarly enough understand that Jesus was probably not born on December 25th and was more likely born in March or April. And I realize that long after His death, burial, resurrection and ascension some really nice church people in leadership who wanted to combat pagan celebrations and turn those times into something about Christ probably hijacked the December 25th date from the Druids. And I also know that the Druids worshiped trees or in areas with lots of trees… so some people think having a “Christmas” tree is about as pagan and worldly as can be. I would wonder if those same people have any problem with a church having a “Trunk or Treat” or “Hallelujah Night” outreach to hijack Halloween back from the enemy and use it reach people for Jesus. But I digress into sarcasm and negativity… So, back to the Christmas tree. I love a Christmas tree! Real or artificial… single-color lights or multi-color lights… burlap or ribbon… garland or popcorn strands… icicles or faux snow… star or angel on top… I love a Christmas tree. But when I see a Christmas tree, I don’t think of Druids or pagan worship rituals. I think of another tree… one that came at the end of Christ’s life… the Cross. You see, when the decorations are removed and the needles have fallen off a real Christmas tree, what’s left is wood… a center vertical post with horizontal branches. And I think of the Cross. The Cross… it really is why Jesus came to earth. Yes, He loved people and taught people and healed people. Yes, He brought truth and stood against injustice. But in the end, He came not only to live, but to die so that we who were separated from God could be made right with God by Jesus taking our punishment. 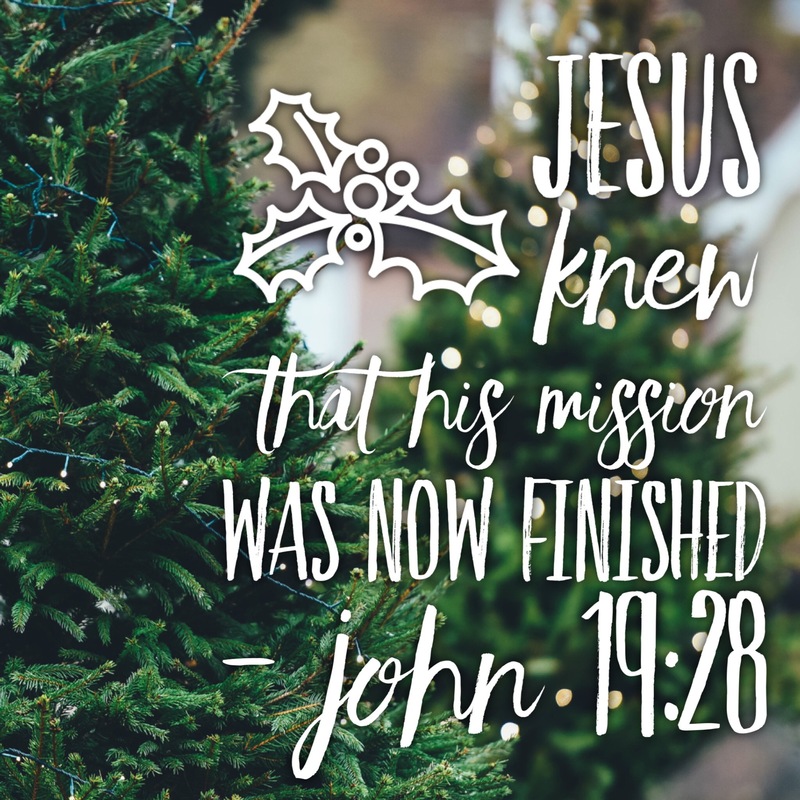 I know it’s difficult to think about His suffering and death on our behalf when we are caught up in the magic of Christmas and the mystery of God arriving as a baby. The warm lights and soft music of Christmas seem to shield us from the harshness of how He would be treated because of us. But it is reality nonetheless. And honestly, I’m so happy that He was willing to take my place and my punishment. I am not good enough to match God’s standard of goodness. I need a Savior. And God in Jos great love sent one… His own Son! So, when I see a Christmas tree, I celebrate a little more… because I once was lost and now I’m found… I was once a sinner and now I’m a son of God… and it’s all because of a tree… The Cross. You can debate and get frustrated over the hoopla some folks generate about Christmas trees if you want to… But as for me and my house, we choose to let ours serve as a reminder of our Savior!